The blinds for the 393 to Welwyn Gaeden City Station were wound up on T792 and we headed for the bus station. 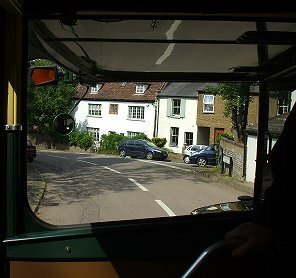 We loaded up and headed out, passing SNB449 and T1101 which were both arriving. 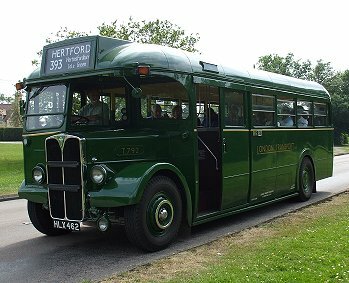 We passed round the first section of Hertford, then wove a way through the westward section of town, then west under the tall railway bridge and westwards along the A414. 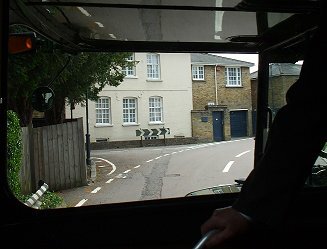 We quickly turned off left, down the hill to cross the river and up into Hertingfordbury on the old road. We continued west through Birch Green to Cole Green, where we paused at the bus stop for photos. 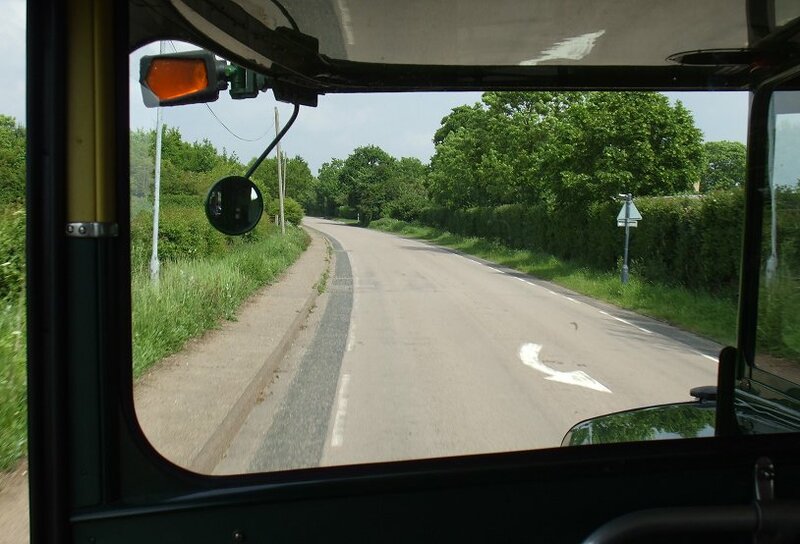 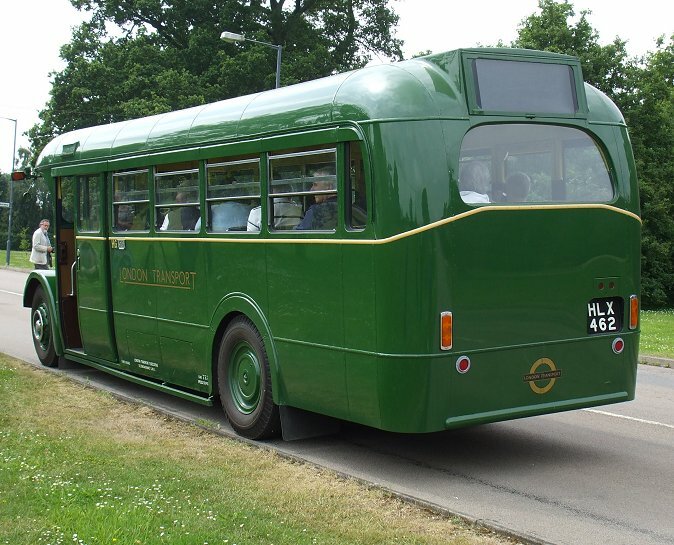 Then we went on, crossing the A414 and threading a way through Great Ganett into Welwyn Garden City. We turned down into the bus station, by the railway station. 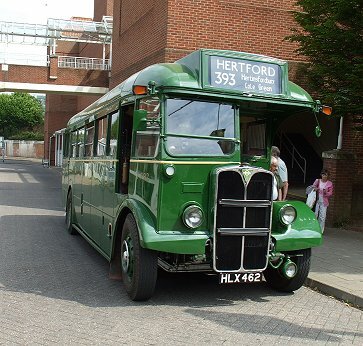 I just had time to go to buy a drink while the bus prepared to return to Hertford. 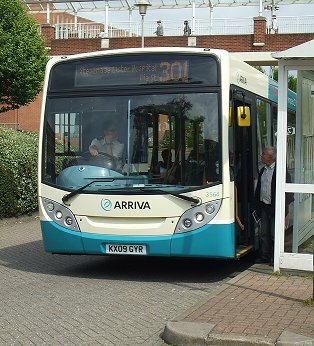 Other buses visited too, including 3564, a long Enviro Dart en route to Stevenage and the New Lister Hospital. 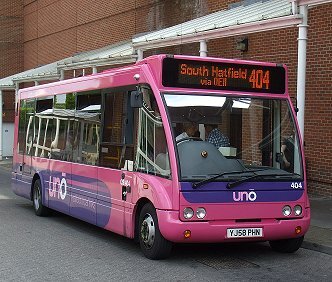 Universitybus Solo 404 also arrived before our departure, providing a contrast in styles and liveries. 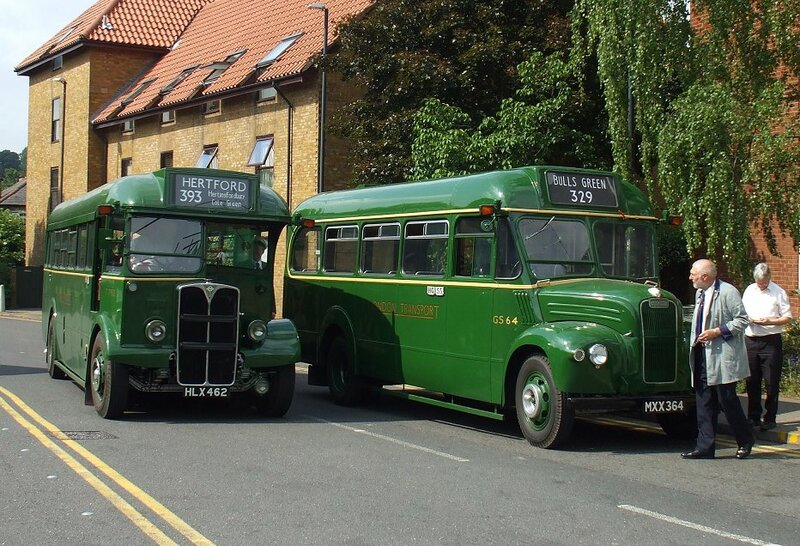 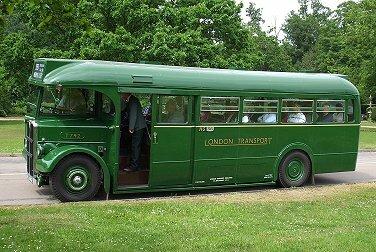 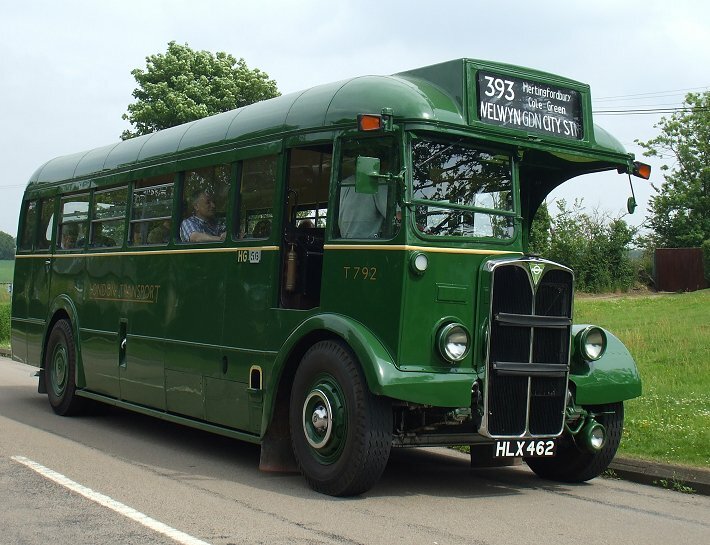 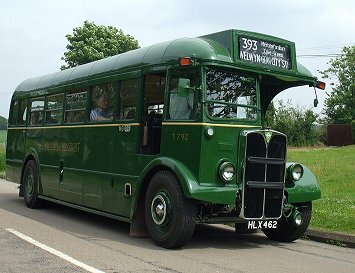 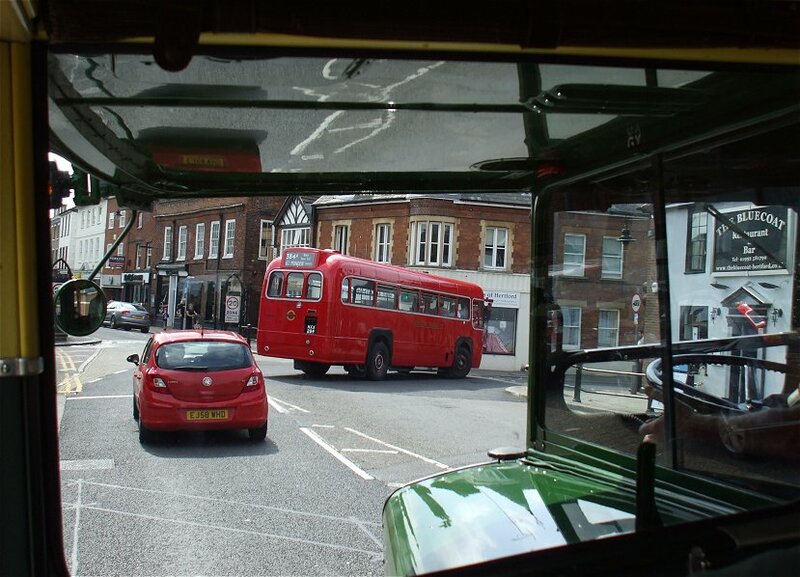 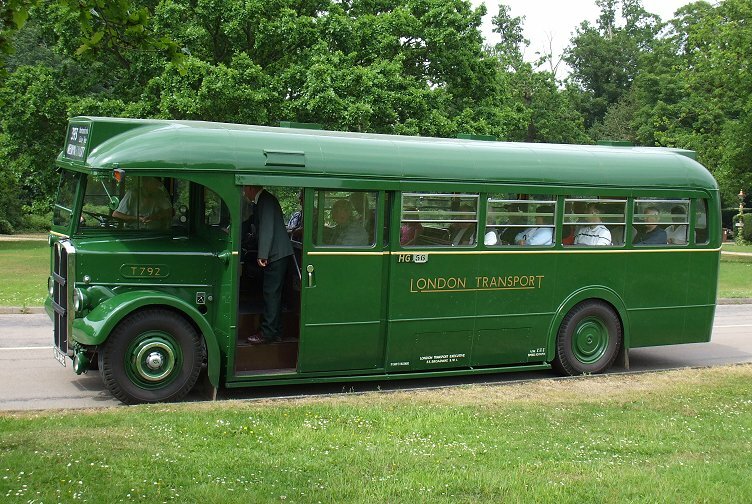 Where London Transport was part of the background in the countryside, the private bus company needs to flaunt itself. We set off again, back out through the garden suburbs into the Hertfordshire countryside, back to Cole Green for another photocall. We went on east along the old main road, and down through Hertingfordbury again, and back into Hertford. 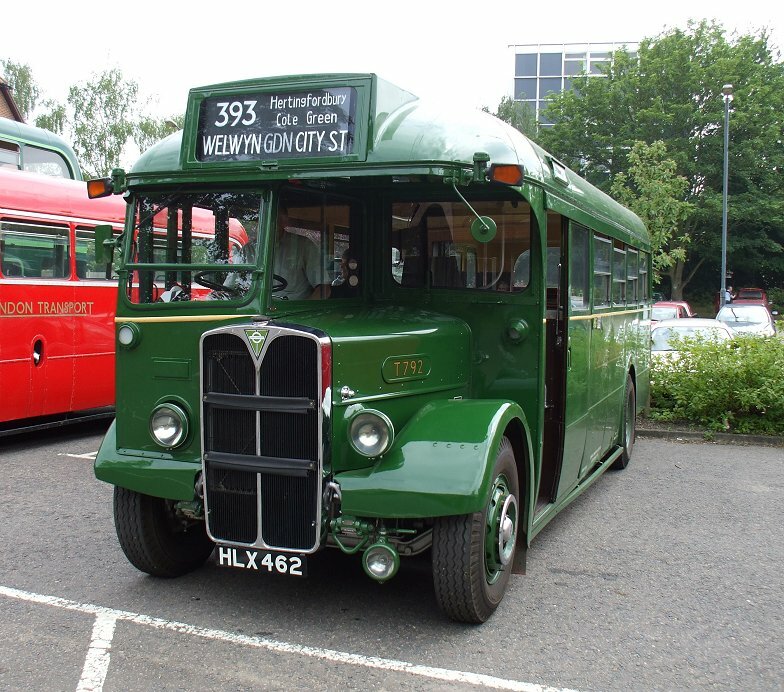 RF406 wound into Bircherley Green bus station ahead of us, preparing for a journey on the 384A to Great Munden. 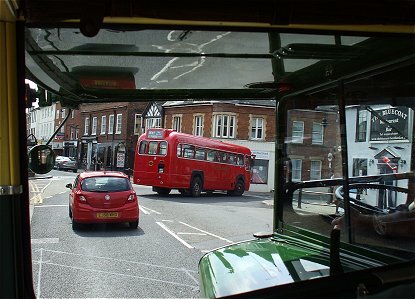 The bus station was rather congested, and we inched up behind T1101. This gave me an opportunity to see the Titan without an intervening bus window. 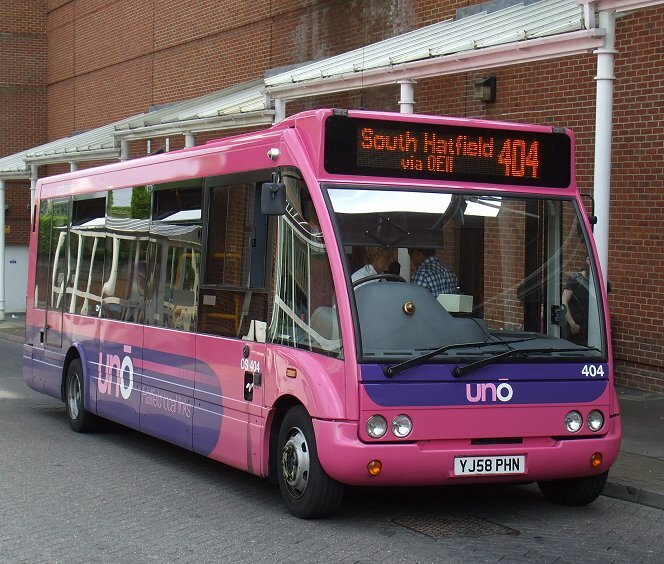 It turned out to be heading for Hatfield on the 341, a trip I had pencilled in earlier in the day. 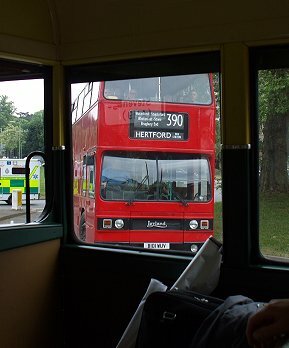 But now my sights were firmly on that elusive GS to Chapmore End.. 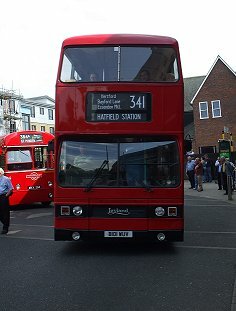 But it was not GS64, which was parked prior to a turn to Bulls Green on the 329. 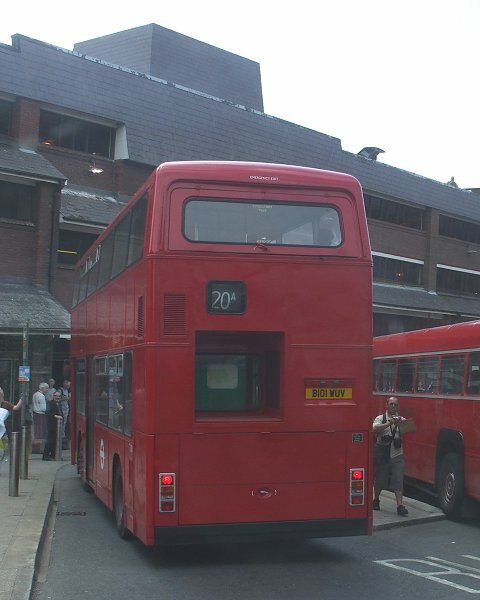 T792 set off for the London Road "garage" - or was it home?